Starting this Friday, July 1, the Connecticut state sales tax will increase from 6 percent to 6.35 percent. In addition, clothing and shoes costing under $50, yoga classes, grooming for your pet, and spa visits will no longer be exempted from tax. Plus the prices are going up for liquor and tobacco. You could end up shelling out an extra 40 cents for a pack of smokes. And the alcohol prices will be increased by 20 percent. But Gov. Dannel P. Malloy‘s tax package reaches further. Cosmetic medical procedures are also subject to tax. If there is any good news about this taxing deal, it’s this — the state decided not to mess with the Tax-free week which will be held from August 21 to August 27. This is yet another item in the “S**t You Can’t Make Up” file. Two things. One: Tweeter, by the by, is the appliance store if you grew up in New England like me. And two: who CAN’T you follow on Twitter? Passing notes in class is so 20th century. team. But not just any Boston team. This primarily has to do with the Stanley Cup Finals. 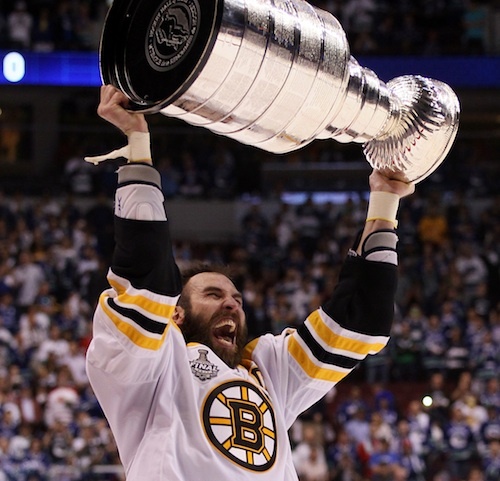 Granted, I don’t follow hockey much, but when the Boston Bruins had to win Game 6 to force a Game 7, there was supremacy of hockey at stake. Team Canada beat Team USA in the Winter Olympics Hockey Finals. True, hockey is big in Canada, but don’t bet against the red, white, and blue. I wouldn’t call Game 7 of the Stanley Cup Finals a rematch, but it is something to make me prouder to be an American than I’ve ever been. Our neighbors to the north? Not so much. Angry Canuck fans went awry when the team lost, causing a riot and leaving the city of Vancouver in shambles. Talk about a sore loser! Are you effing kidding me!??! McDonald’s wants to start charging African-Americans an additional $1.50 per transaction. I don’t know what city this is from, but I am outraged. 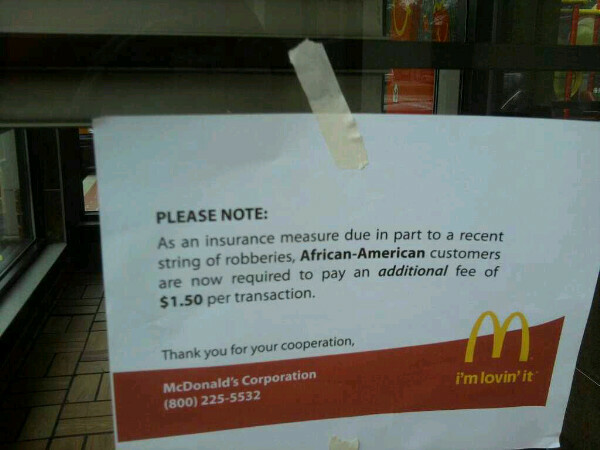 Is this particular McDonald’s assuming that ONLY African-Americans, such as myself, rob McDonald’s restaurants? Last time I checked, this was 2011, NOT the 1950s/early ’60s. The state House of Representatives voted 90 to 57 in favor of decriminalizing small amounts of marijuana. That’s right, I said decriminalizing — NOT legalizing. Gov. Dannel Malloy signed the bill after it reaches his desk, making it law. 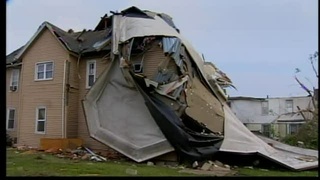 This only happens once every 16 years in Massachusetts, but a tornado touched down in Western Massachusetts, slicing through Springfield and its suburbs late yesterday afternoon. At least three people were killed and dozens more were injured. If you traveled northward on I-84 to Massachusetts yesterday, you had to deal with stop and go traffic as a result of the tornado. Its effects were felt as far south as Union, Thompson, and Stafford Springs.